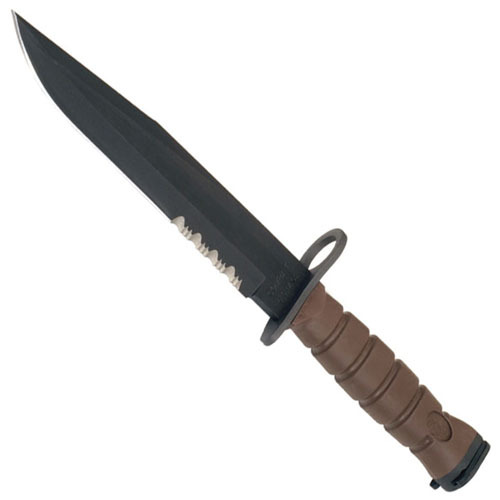 Designed to Marine Corps Military specifications for attachment to M16 rifles, this bayonet features a black coated clip-point blade of a proprietary carbon steel formula, with a small 1-3/4" serrated section at the base of the blade and a sharpened upper swedge. The grooved handle is very grippy and resilient, for use with or without gloves. 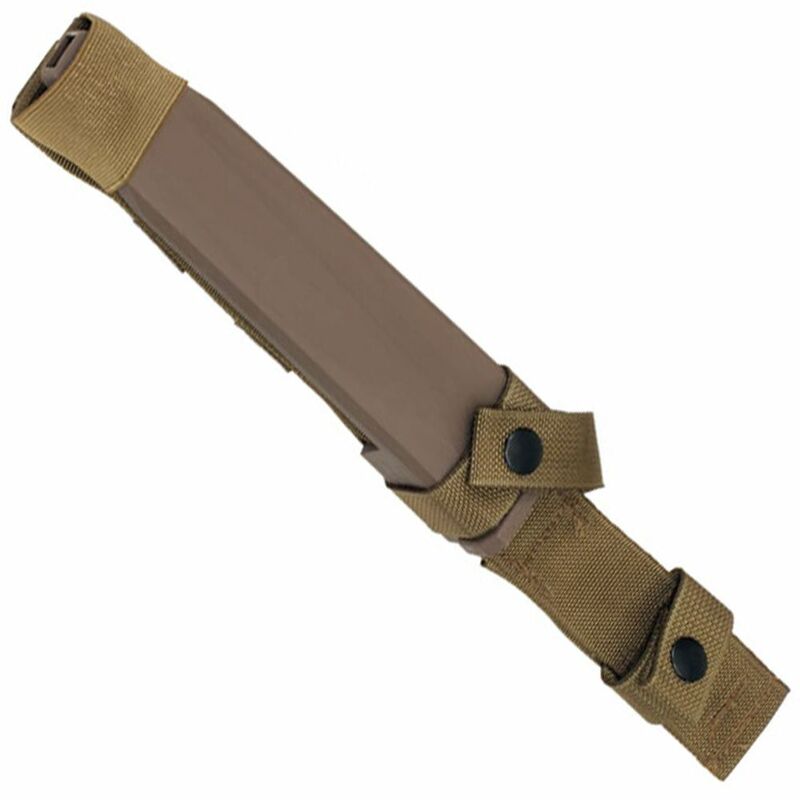 The hard MOLLE compatible sheath with strap down loops has drain holes for amphibious use, an embedded ceramic-coated aluminum sharpener on the back, and a sturdy ballistic nylon harness for attachment to load bearing equipment in multiple ways. Handle is marked with USMC on one side (and on blade base) and 'globe and anchor' logo on reverse. Brown color is designed to match both woodland and desert camouflage schemes as well as to reduce IR signature.